Christmas is WAY too close! So I'm slowly building my stash of Christmas cards. And when I saw this gorgeous card by Julie Lacey (second card in the post), I knew it would be a great CASE for some simple Christmas cards. 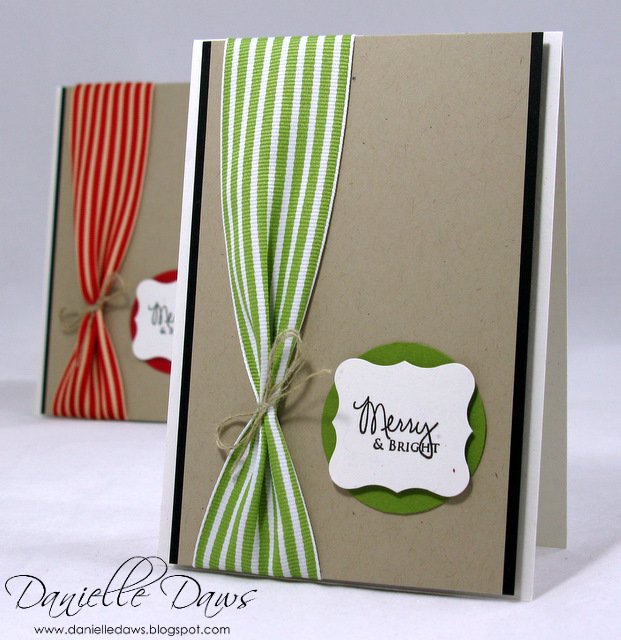 Julie has the most inspirational blog, Stamps and Taxes!, she's incredibly talented! So make sure you visit! My cards are nowhere near the gorgeousness of the original, but I still like them. I'm entering them in this week's There She Goes challenge - TSG79 ~ There She Goes Getting 'Gifty' and the Flourishes Bring Back Beautiful 4 Challenge. So, what do you think? Would you be happy to receive something like this for Christmas?? OMG this is gorgeous. I totally love it! I havent even started Christmas cards yet. oh boy! I really like these. CAS. Perfect! wow these are so simple but so pretty!! LOVE LOVE LOVE these cards!!! Thanks for entering the TSG challenge! I would LOVE to receive one of these cards Danielle! Simply gorgeous!!! Your photograhy is amazing Danielle - what camera do you use? Wow - I LOVE these! Very inspiring. 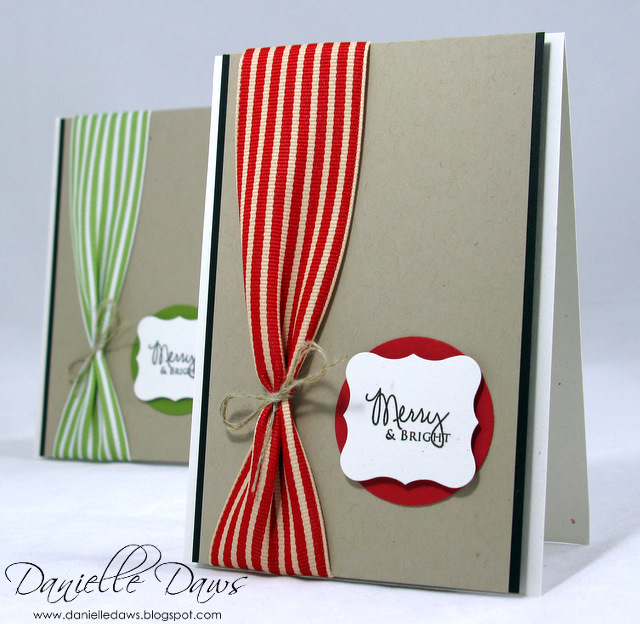 I love the layout and the use of punches and ribbon. Really well done, fantastic looking cards! Love these to bits - hope you don't mind if I case your Chrissy cards because the design is SO BRILLIANT! Love these cards! Thanks for playing along with us this week!